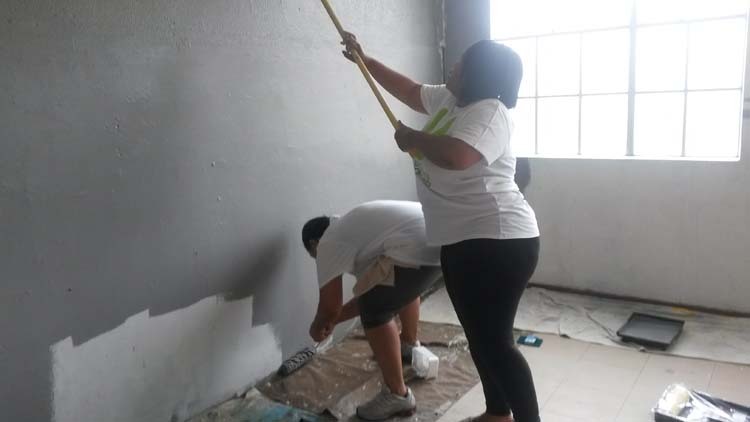 During the first school holidays, on the morning of the 22nd March, 6 staff members from Woolworths Human Resources Department arrived at the Vlottenburg Primary School in Stellenbosch. 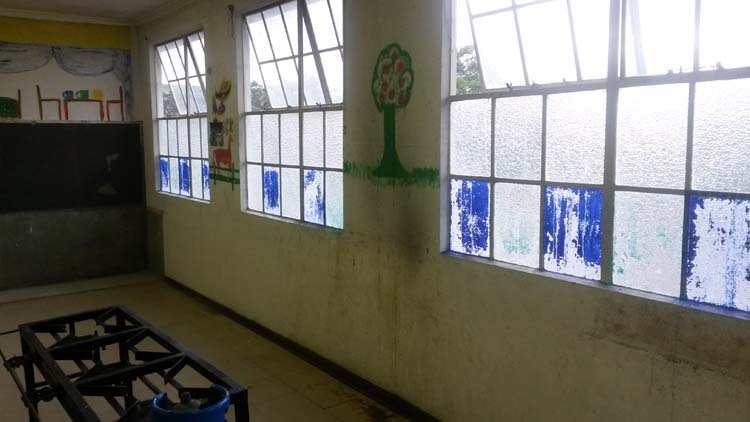 This school feeds all 501 children twice a day (a hot breakfast and a hot lunch) and up until now have used a classroom, which has been converted into a make-shift kitchen, to fulfill this roll. 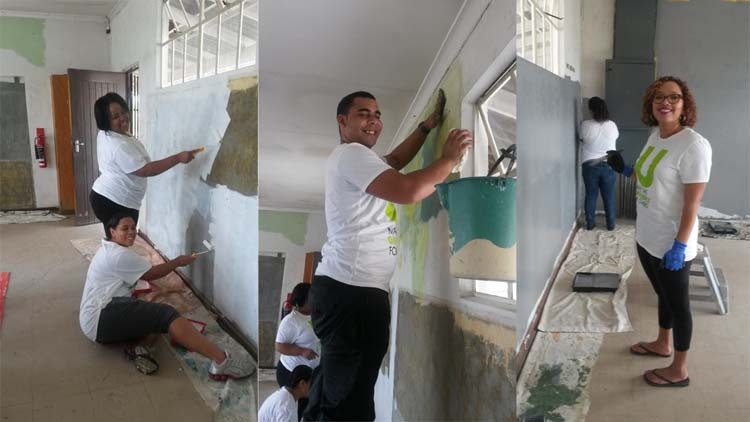 The classroom is a fair size and there was a LOT of preparation work needed but this team got right too it. 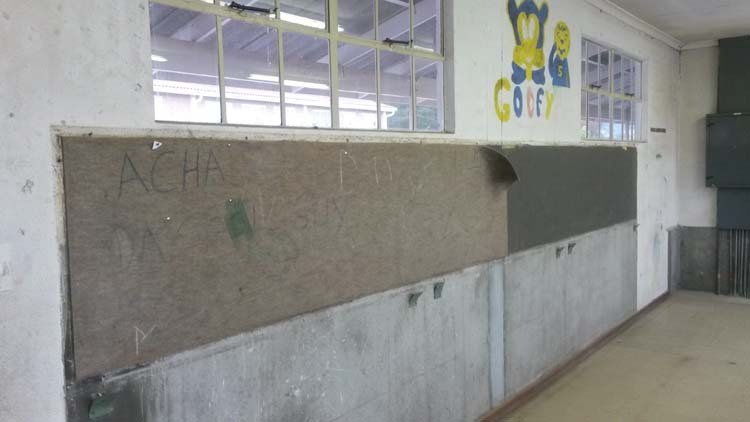 They scraped glue off the walls; scraped carpeting that was stuck to the walls; removed nails; filled holes with Polyfiller; sanded affected areas and then washed all the walls and windows. This was followed by an undercoat and then two coats of paint being applied. Time was of the essence as each layer had to dry but we made it and the end product looked so very neat and smart. 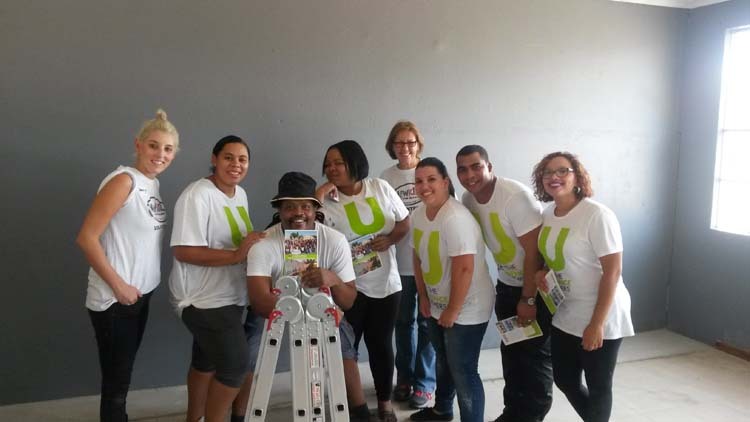 It was a great privilege working alongside Stacey (our Newkidz on the block volunteer) and the Woolworths Team under the leadership of Jeroldine Edwards. 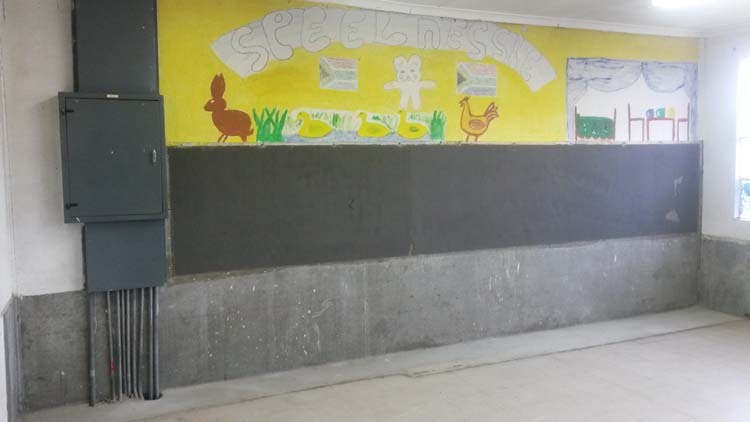 Phase 3 of this Woolworths project is the installation of new kitchen equipment – what a blessing this is for this school and their loyal staff who tirelessly do this essential work day after day for these young children.